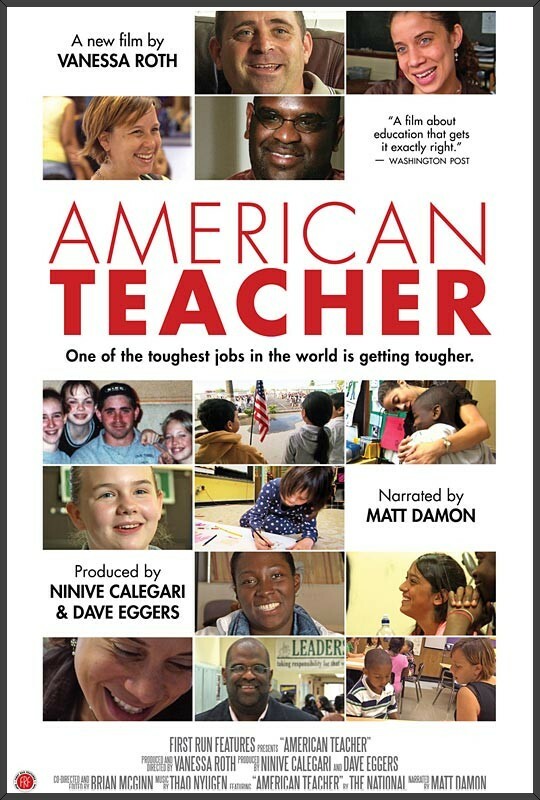 American Teacher is a feature-length documentary created and produced by The Teacher Salary Project. Following the format of the book Teachers Have It Easy: The Big Sacrifices and Small Salaries of America’s Teachers, the film utilizes a large collection of teacher testimonies and contrasts the demands of the teaching profession alongside interviews with education experts and education reform news from around the country. There are four principal characters in the film whose lives and careers are closely portrayed over the course of several years. Alongside the stories of these four characters is interwoven a mixture of interviews with teachers, students, families, and education leaders, as well as animation conveying startling facts surrounding the teaching profession. The film is a compilation of over three years of collecting footage from hundreds of teachers across the country, and its story goes beyond the USA borders - so many teachers in so many countries experience the same or similar problems, issues and struggles. Just watching this trailer gives us plenty to ponder about.